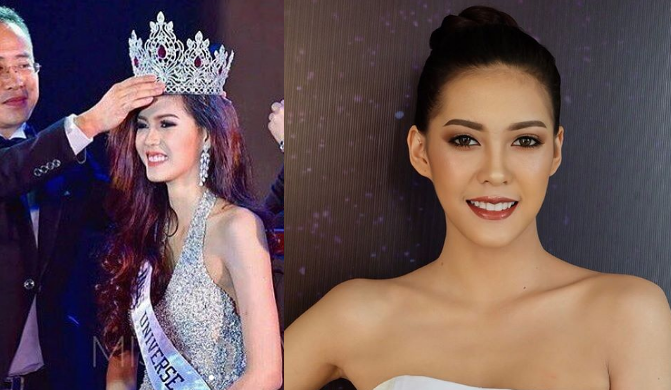 Meet the very first crowned Miss Universe Laos, Souphaphone Somvichith. Miss Universe Laos 2017 pageant was held on the 26th of August at Lao National Convention Center at Vientiane. TVLAO is the sponsor and broadcast partner for the event. Souphaphone will get a chance to represent her country at the Miss Universe 2017 pageant. With a height of 5'8" tall, this Business Administration Comcenter College student is not new in the glitz of pageantry as she was the first runner up in the Miss Vientiane 2016 pageant. Since then, she has gone on to become one of the modeling Laos stars, walking the runway for brands and posed for famous magazines in the country.